Coil Bound books are an outstanding and economical binding option for large softcover yearbooks. We use plastic coils that are very strong and will not break. Transport via backpack can be rough, but these coils will bounce back if crushed in a backpack, and will lie flat when open so they’re easy to write in. It’s an excellent choice if your school has a yearbook project where students will be carrying their books a lot. Coil Bound is not only a cost-effective way to bind any softback yearbook, but an attractive option as well. 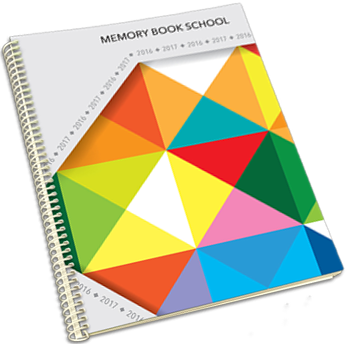 To enhance the look and durability of your softcover yearbook, lamination is an excellent option for a small additional charge. This will give your yearbook a finished and professional look and will protect your book from the elements and wear. Check out our sample yearbook binding options online, then request a quote or call a sales representative at 800-247-1526 for more information.